Save £98-00 on RRP prices if bought seperately. GB extra thin bar designed to run Stihl 3614-63PMX. 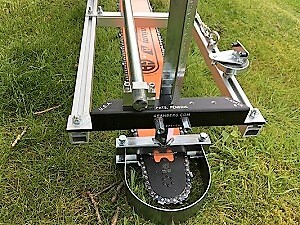 When entering the world of chainsaw milling the term ‘ripping chain’ can be a bewildering one. Plenty of info online and of course plenty of contradictions to muddy and confuse things. Really ripping chain is simply this – a micro or semi chisel chain filed to 10 degrees instead of the usual 30 degrees. That is it in a nutshell and it really is no more complicated than that. All filing principles stay the same except for this 10 degree angle. Have tried full chisel ripping timber and unless the timber is very soft ie. redwood soft, it seems to cause a lot of vibration. The manufacturuers seem to agree on this point as all ripping chains are converted micro or semi chisel chain. So if you are going to adapt an existing chain don’t adapt a chisel style chain. 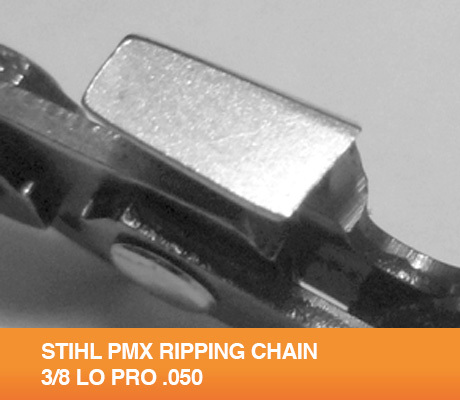 Stihl 3614-PMX – this chain cuts beautifully out of the box to give a smooth and even board. Developed between Logosol and Stihl this chain is our favourite when it comes to milling timber on an oversize set up. Oregon 91R – Better suited for smaller milling rigs ie. 25″ and under. Depth gauges seem to be overly high to take as much of a ‘bite’ as the Stihl PMX chain. 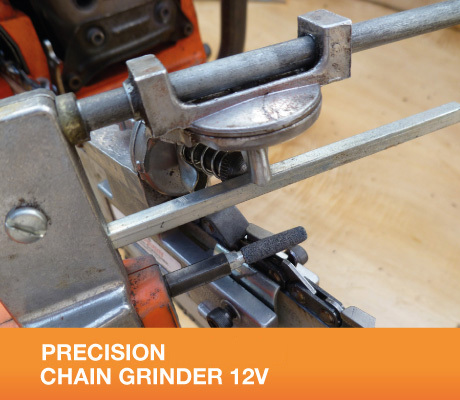 Granberg 3/8 lo pro – Granberg adapted ripping chain does work well however sometimes the adpatation to cutters can be fairly crude and it is more of a nuisance to sharpen. So in conclusion – lo pro milling increases milling speed and decreases kerf wastage however there is less margin for errors and as usual for all chainsaw milling your chain sharpening must be spot on.